How Important is a Legal Document Review for your Law Business? How Important is a Legal Document Review for your Law Business? 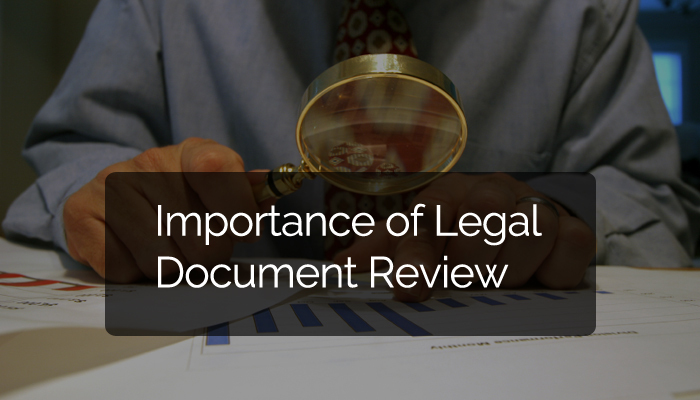 How Important is a Legal Document Review? Legal document review services had been an important part of the LPO’s dealing with the overseas clients for the lawyers of the American and the European courts. The LPO service in India had been one of the best in the planet which had given a considerable rise to the industry looking into the service which the LPO’s in India had been providing to the international clients. For lawyers and attorneys who are practicing at the American courts is extremely busy with numerous types of cases as most of the time the lawyers are associated with the law firms. The document review is one of the pillars of a good presentation of cases in the court of law, but in many cases, the review of the documents is not possible to be reviewed by the prospective clients. The legal document review is done by the Indian LPO’s where they had been reviewing the legal documents for their international counterparts and had been helping them to win cases for their clients. The document review services is a job of great patience as the lawyers or the Legal Support World needs to take a good look at each and every genre of the documents. The review is required so as no part of complex cases are left to look into and the chances for the winning of the cases increases. The lawyers in India makes legal document review a part and parcel of their routine. The lawyers in India offering the services of the document review services had been doing their job with full integrity and had been agile enough to handle a variety of cases all through. The document review services in India are taken up as a profession by many of the young and aspiring lawyers. The lawyers who deal with the international laws had learned the minute details of the country’s laws that they had been handling for their clients. The attorney’s in LPO services practically does not need to review the work that Legal documents review provide. The work done is ferried quite attentively and in best possible ways. The Legal Support World provides a large number of legal support to the attorneys who are their overseas clients. The Legal Support World other than providing the secondary law services also reviews the legal documents for their clients. The company had been successful in making quality document review services in the past as they are assisted by patient legal advisers who would be taking all the pains of not leaving a single portion of the documents to be reviewed. The lawyers who take up the Legal Support World must give the companies the minute details of the cases and thus helping them to win the cases. The Legal Support World had been keeping the integrity alive and make sure that the case details are never shared with anyone and thus keeping the information safe. The Legal Support World had been making the legal procedures at the overseas court easy. Thanks to their splendid team of lawyers who would be dealing with all the pains and will be pulling the cases through for the clients.